As a guest at Plantations #1122 & RE/MAX Kauai, you'll have access to Kauai's Premier Concierge Service at (855) 665-2824 http://kauaiva.com/index.html, we will help you build your perfect vacation. Condo was beautiful, clean and close to stores and beaches.. Wonderful! Love this place. Great value! Condo had everything we could need for cooking and relaxing. Very quiet! 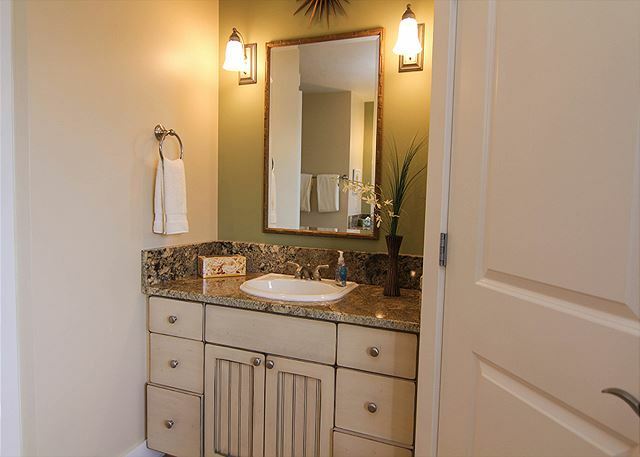 We were thrilled with how nice and well put together the home was upon entering. It was well stocked and had most everything we needed to begin our stay. We only had to pick up some extra paper products. We loved having our own bedrooms and bathrooms, with lots of space. I would say the only negatives were the couches weren't very comfortable and the dining chairs were dated. And the stair railing is very loose, which could become a safety issue in the future. Overall we had a wonderful stay. 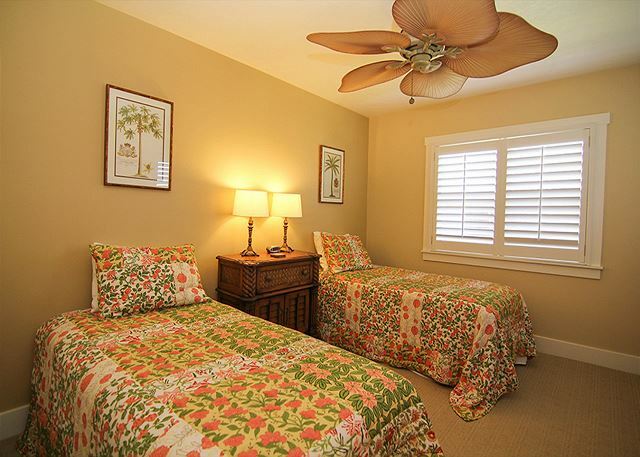 Comfortable and welcoming condo stocked with all of the amenities of home. Centrally located and plenty of room for my family and the grand parents. Too many rules / signs at the pool but it served its purpose to cool off in the afternoon. Great pad! It was more than we expected. The place was spotless and have everything we needed to have a great stay. I liked that we even had beach towels what a great touch. I hope to stay here again it was perfect. Soon as they fix that highway across the island pease let us know. We spent half our vacation going back and forth. The place was amaing! Our party included two couples and two singles. Condo was perfect for both privacy and group activities. 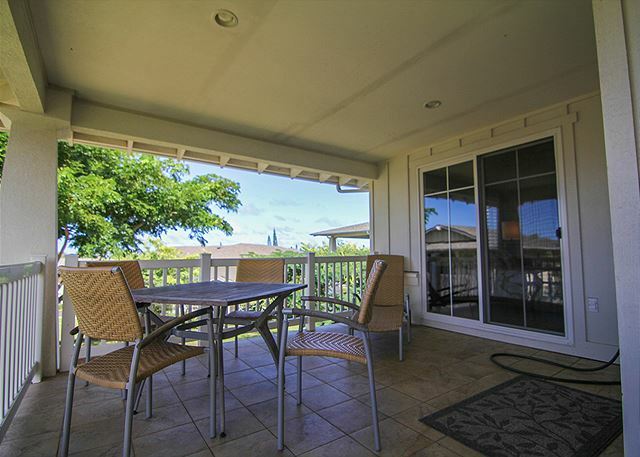 Enjoyed the patio and pool and walks to nearby beach area. We easily both cooked in and ate out. Would highly recommend the condo and rental company. Check in and out were both simple and stress free. We stayed here for 9 nights with our 3 kids. The space was perfect and comfortable. Our 2 girls shared the room with the twin beds with a big bathroom by their room, and our son had his own bedroom and bathroom. Each room had huge walk in closets with hangers, our bed was very comfortable and I slept great every night. The condo was very clean (and I am really picky). The grounds were well kept, the gym, pool and hot tub were nice. We used the hot tub and grill most nights and ate dinner at the tables by the pool. There are umbrellas, beach chairs, snorkel gear, ice chests and plenty of beach towels for guest use. Any beach that is usable is a little over a mile walk or a short drive. With kids I would recommend the private beach at St Regis or Hanalea Beach which is about a 10 minute drive (that was our favorite beach on the north shore). A few great places we ate at close to the condo was Tiki Iniki and the Happy Talk lounge (we came her 2 nights on our stay and they had live music both nights and beautiful sunsets). I would definitely recommend this condo and stay here again. Had a wonderful relaxing time. Warm and inviting condo with all the amentites. The condo worked very well for my husband and myself... later to be joined with our daughter and family. The rooms, 3 bedrooms and 3 bathrooms was a perfect fit for our size family. The condo was equipped with anything we needed. And one of our neighbors pointed us in the right direction, when we asked questions. We certainly loved the location in beautiful Princeville. We all had a ball! Our trip to Kauai, was a memorable experience, which we will always treasure!! My vaction experience at this rental was great. I was in a party of 6 ( 2 per room). We each had our own bathroom, th econdo was very clean, and there were plenty of extra towels and linen. There were also games, movies, and books available. The condo was equipped with a lot of extras. I would definitely suggest to a friend and plan to stay here again. a guest from Draper, UT does not recommend this vacation rental. Nice condo, great location, was surprised we never heard from anyone at REMAX upon check-in, WIFI never did work, air only in master so other two bedrooms are very warm (one bedroom we couldn't use it was just too hot). This rental was the perfect place for our family of 6 (ranging from 6-70) location was great, size was great, and all the amenities included was just what we needed to make this vacation a success. This is the second time I have stayed in Kauai and we couldn't have had a better time. I really like the Princeville area and the condo that we stayed in was the perfect location to head both directions around the island. The condo had three nice bedrooms with bathrooms which made it great for our group of 6. The kitchen was nicely appointed with all items for cooking, which we did every night and the extra beach items, (boogie boards, chairs, snorkles, fins) were used often by our group. Thanks, It was also a great value and I would easily rent again. Accommodations fit our needs perfectly. Property was beautifully decorated, clean, spacious with a nice view. Well equipped. 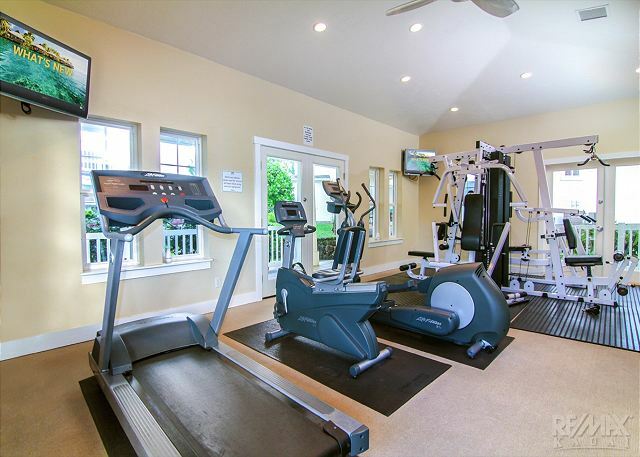 Close to fitness center, mail and pool. Neighborhood was well maintained and quiet surroundings. Not many dinning options in the area and what is there closes early. A note for management: Cabinetry needed to be tighten up. I was afraid I would pull a door off and get blamed for the damage. Noticed shutters in Queen bedroom had a few slates that were damaged. 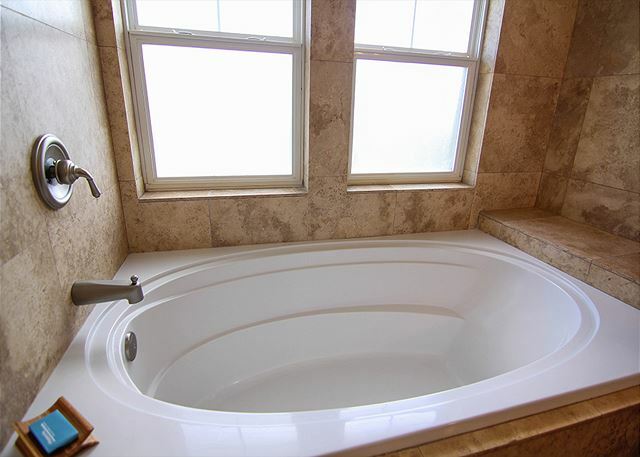 Tub drain in Queen bedroom is slow to drain. A piece of tile is chipped near entry. Kitchen faucet needs tightening. I feel we should have been made aware that management is aware of these "big" picture maintenance items and hopefully landlord is aware. Great experience, this is a wonderful condo, spacious, well-decorated, three large rooms, comfortable beds! 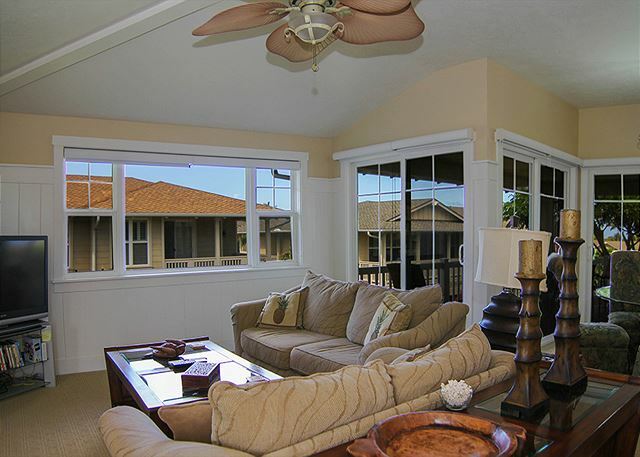 We were a group of four in a lovely three bedroom condo at the Plantations at Princeville. The kitchen was well stocked with pots, pans, dishes, etc. The bedrooms and bathrooms were well supplied. Location couldn't have been better. We thoroughly enjoyed our stay. We really appreciated this condo! We were so thankful to the management for allowing greater than the "8 max allowed" due to our families needs. We are a family of 10 - 4 small bodies among us that did not require a full on bedroom. Thanks so much for the accommodations! This rental was perfect for our needs. 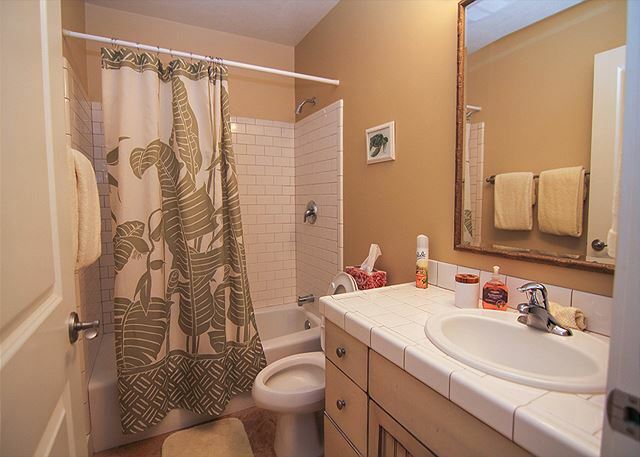 Very clean, well appointed and good location. We have a great group trip. 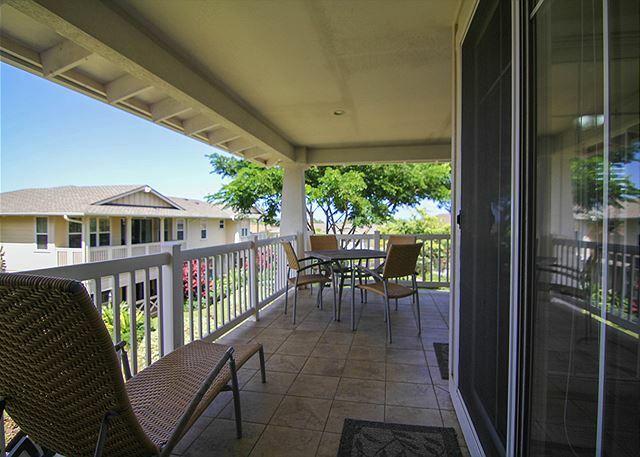 We've stayed in this unit 3x already and used other properties managed by Remax Kauai quite a bit more. There are numerous rentals available with all the amenities that you may want/need but what makes renting from Remax apart is the fantastic customer service experience. Angela Pycha is just the epitome of what a cust. service provider should be. Just outstanding! Will be back again in a few months. 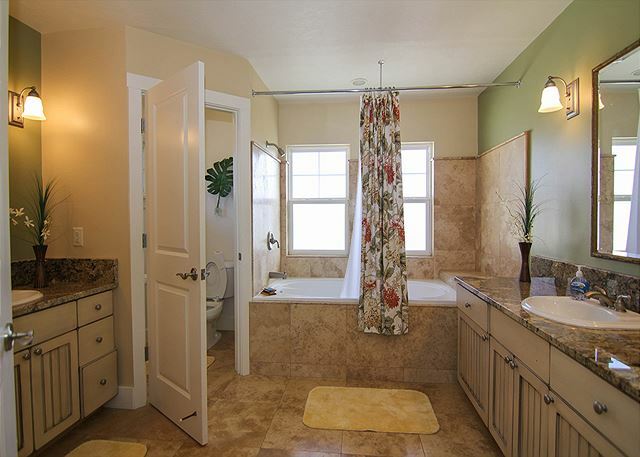 Beautiful 3 BR condo with lanai and 3 separate baths and full kitchen. The place was very warm, clean, and comfortable. The owner spared no expense in stocking the apartment. From board games to laundry detergent to beach towels, we never felt lacking anything while on this trip. We had a wedding to attend at St. Regis and it was only 5 minutes away by car. Everyone we spoke to felt that we got an amazing deal given the price and amenities of the condo. Was a clean, roomy condo. We were disappointed that we were not allowed to utilize the garage to park our car. We were pleased that beach chairs and beach towels were available for our use. Awesome!! Place was perfect for my family. We not only felt like we were on vacation, we felt at home. So comfortable, clean, and had everything we needed in a home. Area was quiet, well kept and maintained. The reason for a "4" rating in #2 was that the oven selector was broken. We called it in and it was repaired the next day. Also, the handle on the microwave was broken. A new part had to be ordered. The staff was very helpful and responsive. Upon arrival we realized we had left the driving instructions at home. We called the emergency number, and the instructions were texted to us pronto. What a relief that was. I have stayed this well maintained condo for a week in April 2011. Good quality funitures and good amenities. Overall, a very pleasant experience. We had a wonderful stay -- clean, comfortable, easy access to beaches, wonderful for a family with young kids. Everything was truly fantastic! Wish it was ours to keep! We had a great 2 week stay at #1122 - tempurpedic was wonderful, we have one at home so this was perfect. Older crowd in the area, so very quiet. Outfitted with everything we needed. We can't wait to go back! Spending a week at this facility made our island stay more pleasant. Starting our breakfast on the deck with occasional yellow-bill cardinals, spending a priceless time with family with spacious living room/kitchen, cooking dinner with local ingredients, etc. all were good memories. We would love to recommend to our friends and/or come back if the next opportunity rises. it was the most wonderful stay I have ever had.the condo was a dream and i just enjoyed laying on the sofa while the others went to the pool.The decor of this condo was like being in a heavenly peaceful forest and I truly loved every minute of it. The king bed was so comfortable that we went home and bought one.thank you for giving us the nost relaxingg time of our lives. Thought the place was great - would definately rent again. Condo was very clean, master bed was very comfortable and the deck is very large - we ate every meal outside even if it was raining as it was covered and protected. Only complaint is the mandatory charge for a midstay clean that never happened. Also the swimming pool is very cold and we would have used it more often if it was heated. This property far exceeded our expectations. 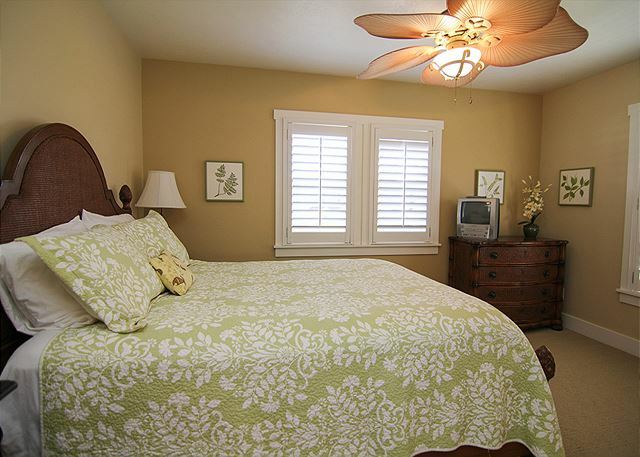 It is nicely furnished and decorated, the beds are very comfortable, the kitchen was well equipped. We had a great time staying there and will definitely go back in the future. Other than that, it was very comfortable and enjoyable. Staff and housecleaning personnel were very helpful, both allowed for us to be early and late with check in and out times, it made traveling with our toddler easier. Condo in very good condition and all amenities and beach toys were in great condition and wonderful to already have supplied for our stay. The only detail that was less than stellar was the air conditioning in the bedrooms, the master ran great but the others don't get any or very little air through ac and would be wasteful to both open windows and run ac. Overall it took a couple of days to feel comfortable everywhere. Also, it would be more logical to have a hose outside of the condo to rinse all the equipment off, it was very nice to have one at all and we tried to keep sand out but we did try to leave the equipment as clean as we could and we had to carry it through the house to clean it on the lanai. Overall, an extremely good experience and would love to book here again. 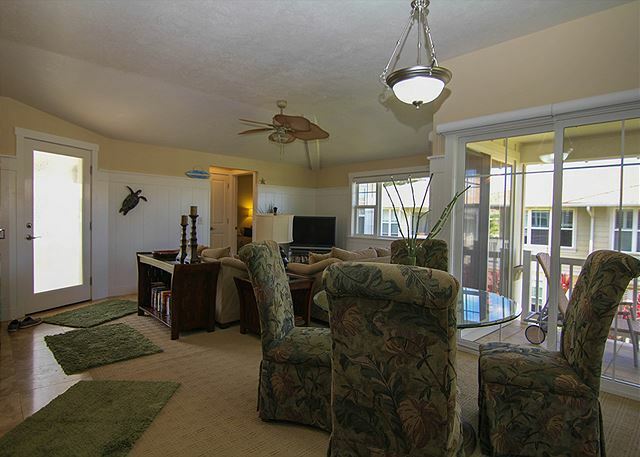 The only thing one could ask for more is to move this condo to Ocean Front! Excellently furnished. 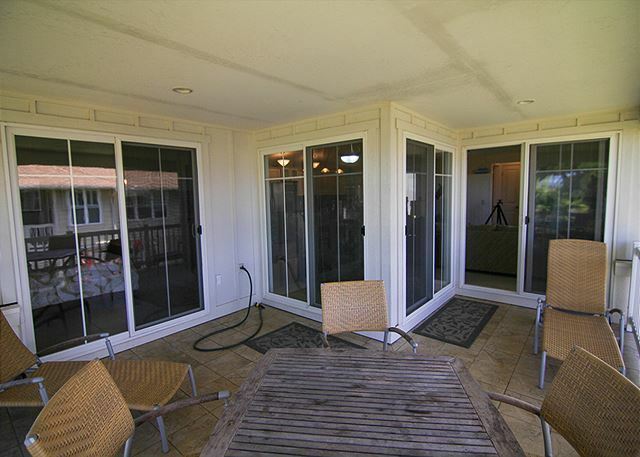 The Lanai is very large. A great condo for a family or even a few families. Very spacious. Although we had a remarkable stay with Remax at the Plantations property we had an unfortunate encounter with a very rude neighber at Nihilani (6 bldg). The resident woman was very loud and disruptive to all units in the area. The police were called one night however the lady continued to be disruptive from 7am to 10pm. Good thing we were gone most of the day. In the future we would ask to be moved right away instead of trying to ignore the situation. Upon arrival our unit wasn't cleaned and just one call to the office, someone came to accommodate us to another location and was very helpful and nice and got us situated in another unit. The whole family had a fabulous weekend and really enjoyed the property. We will be back again!